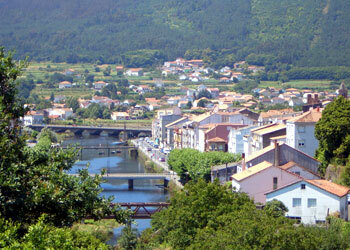 Ever thought about taking a holiday in Galicia? If so, here are some thoughts to ponder and some prompts to encourage you to take the next step towards visiting this beautiful part of green Spain. Galicia is a great place in which to take a vacation, especially for those looking for something slightly off the beaten path. It has an untarnished culture, immense natural beauty and the absence of main stream tourism and the baggage that goes along with it. Galicia is situated in the north west of Spain above Portugal and it offers a climate and scenery that few recognise as being Spanish. The landscape is both spectacular and green and the weather is warm, but not blisteringly hot. Galicia boasts more beaches and kilometres of sea front and sand than any other part of Spain and almost everyone of them is totally natural, picturesque and with a white to yellow indigenous soft sand. Away from the coast Galicia is a territory that mixes lush green meadows with forests of pine and eucalyptus and many mountain ranges. All visitors can expect to see eagles in the sky and a wealth of flora and forna on the ground. In springtime much of the region is a blanket of yellow as wild broom and daisies cover the rolling landscape. 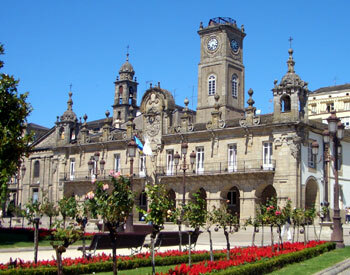 In addition to its natural beauty, the region is famed for its culture and Celtic heritage and this is reinforced by its five main cities of Santiago de Compostela, Pontevedra, Lugo, Ourense and Vigo, all of which provide the sightseer with an endless list of ancient buildings, monuments, ports and historic sites. There is plenty to see, do and experience in this northern Spanish district. Santiago de Compostela, the capital of Galicia, is a world heritage sight and contains numerous buildings of international significance. 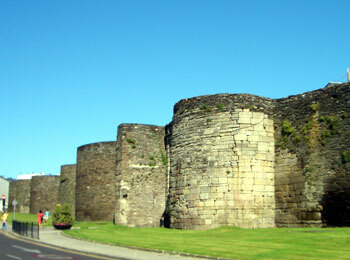 It is a city with many mythical and religious associations and it is the most cosmopolitan of all the Galician cities. Santiago de Compostela city is easy to reach with an international airport that sees carriers including Ryanair who fly direct from airports in the UK. La Coruna and Vigo also have international airports serviced by the likes of Iberia and ClickAir and there are a number of internal connections that link other Spanish airports like Barcelona and Madri to the region. With a coastline scattered with former fishing villages, Galicia is perfect for explorers and those who like to get around and discovered new places and new experiences. The region has an international reputation for seafood and it is itsfishing combined with its agriculture that dominate the local economy and consequently the way of life. This sees Galicia as something of "place caught in time" where traditional values, old standards and an honest way of life are respected and maintained. This is no doubt one of the reasons why the people are so welcoming and friendly towards visitors. 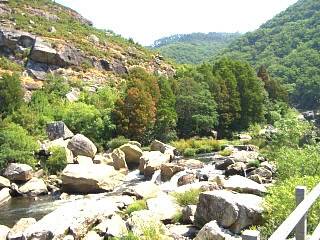 Despite Galicia's uniqueness, it is still a part of mainland Spain and this gives it an easy accessibility to tourists. There are also an increasing number of hotel and accommodation staff who speak English, so there is never a sense of isolation in Galicia. Even so, it is very easy to escape civilisation and journey inland to an old castle or a medieval village, and to the south of the region the provinces of Pontevedra and Ourense produce two of Spain's finest wines, namely Ribera and Albarino. If any of this wets your appetite, or makes you want to explore the prospect of a Galician holiday further, take a good look around Galicia Guide. la Coruna with a marina, th eworld's oldest lighthouse and the "glass city"